From 17 to 19 November, as part of the International Year of Planet Earth, scientists from all over France got together at UNESCO in Paris to share their experiences. What united them is that they are all using satellite and geodetic* measurements to study water on our planet. At the initiative of the Comité National Français de Géodésie et Géophysique and the national geodesy and geophysics community, with support from CNES, 100 researchers met recently at UNESCO headquarters in Paris. The gathering brought together geophysicists, hydrologists, oceanographers and climatologists studying water in all its forms. For this research community, satellite remote-sensing data have become an irreplaceable source of information. 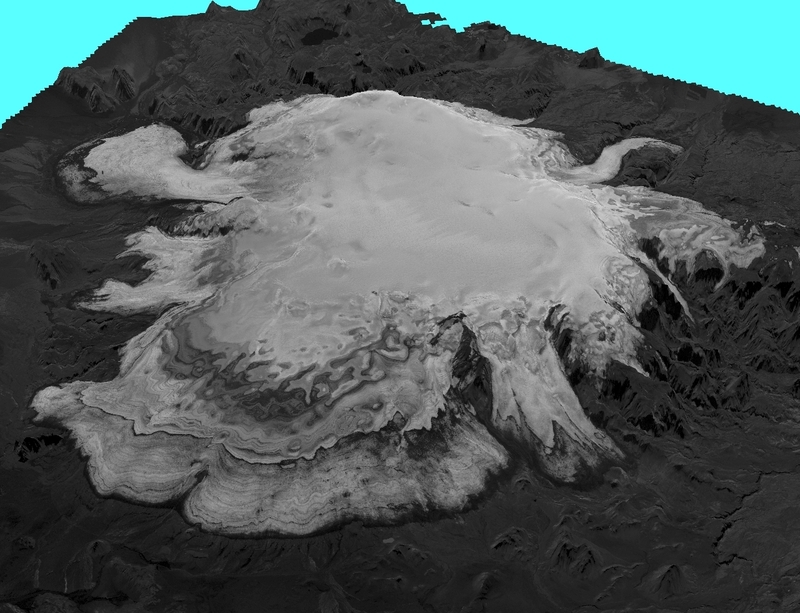 3D view of a glacier in southern Iceland acquired by the HRS stereoscopic instrument on the SPOT 5 satellite. Credits: SPOT 5 HRS. For example, glaciologists are using SPOT 5 imagery for the SPIRIT project to map Earth’s polar regions. 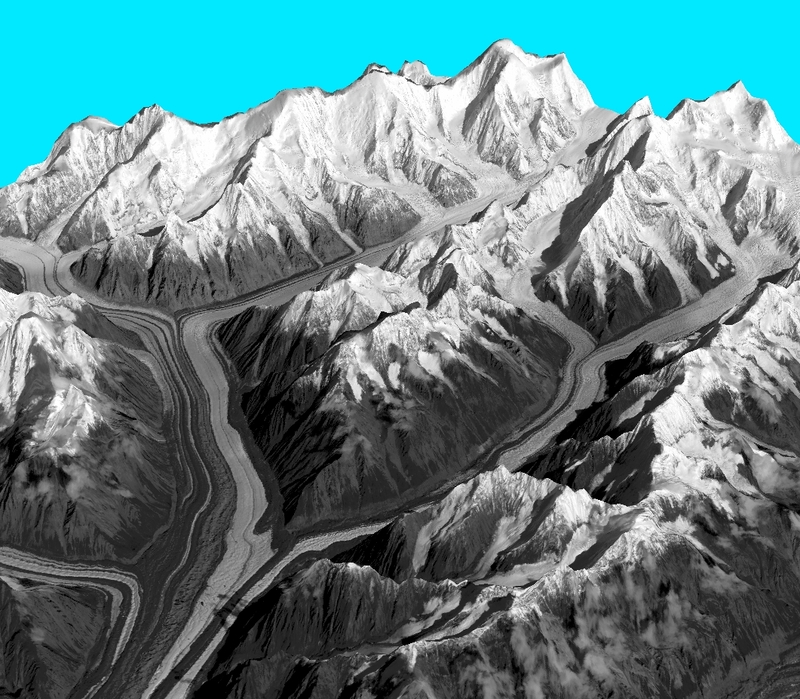 The satellite’s HRS* instrument acquires 2 images of the same point from different viewing angles, making it possible to map landscape and glacier relief. “Just as our 2 eyes allow us to see relief, stereopair images enable us to accurately reproduce the surface of glaciers,” explains Etienne Berthier, a glaciologist at French national scientific research centre CNRS. “By acquiring time series of measurements, we can ascertain if the glaciers are getting thicker or thinner.” Such data are vital for gauging the impact of climate change on our planet. Relief in Alaska obtained with the HRS instrument on the SPOT 5 satellite. Credits: SPOT 5 HRS. 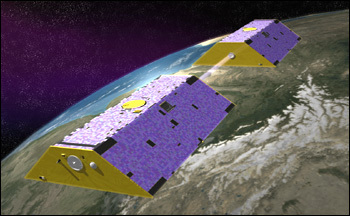 A different project is using data collected by a pair of gravity-sensing satellites called GRACE. By measuring fluctuations in the gravity field that holds us on Earth’s surface, the GRACE satellites are helping geophysicists to measure groundwater reserves. Surprising though it may seem, an increase or drop in gravity at a specific point directly indicates a rise or fall in the amount of water stored underground. Variation in groundwater in mm (left), variation in gravity in µGal (middle) and vertical ground displacement in mm (right) between 2002 and 2006. The weight of water causes the Earth’s crust to sag. Credits: GLADS/Institut de Physique du Globe de Strasbourg. Thanks to satellites, researchers have thus obtained a global picture of groundwater in Western Africa during the monsoon season. Today, as part of the GHYRAF project, field measurements are being pursued from the Sahara to the Gulf of Guinea. “Measurements acquired with gravimeters in the field will allow us to validate satellite data and give us a clearer picture of seasonal variations in water reserves in these regions,” says Jacques Hinderer, director of research at CNRS.